Doom is on our list of the best FPS games on PC – here’s everything else on that list. This comes from Marty Stratton, one of the directors on Doom, via an interview we’ve had with him at Quakecon. 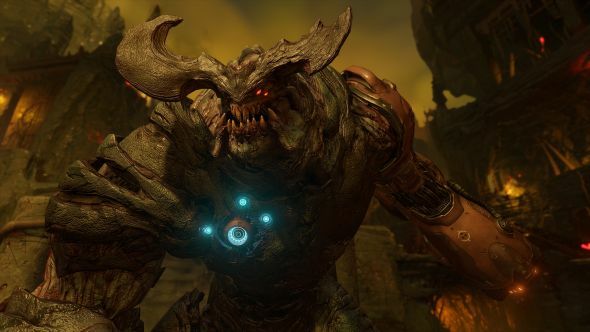 We asked him whether, given we and many others are big fans of the single-player campaign in Doom, we might we see some single-player DLC soon? While that doesn’t rule anything out further down the line, it looks like we won’t be seeing any campaign DLC for the foreseeable future. The only Doom content we know is coming is Doom VFR, arriving for PC on December 1. The multiplayer DLC, on the other hand, has gone free, so there’s at least a lot of Doom to play now, even if it’s not a new campaign.